At the St. Louis International Film Festival this weekend, I saw a wonderful documentary called “Bathtubs Over Broadway.” It’s about Steve Young, who was a writer for David Letterman’s shows for more than 20 years. One of the bits he created was Dave’s Record Collection, which featured the kind of oddball recordings that I also used as punishment music for the radio version of my Harris Challenge for decades. Like me, Steve spent a lot of time in old record stores searching for long-lost vinyl and came across albums of productions he’d never heard of. It turned out that they were promotional recordings of industrial musicals that had been written and performed specifically for conventions and sales gatherings of large corporations (Ford, John Deere, McDonald’s, American Standard). As Steve found more of these — and plugged them into the Dave’s Record Collection segments — he became curious about the people who had created them. Thus began a new obsession. He discovered that quite a few of these productions — hundreds were mounted from the 1950s through the mid-1980s — had some familiar names in the credits. Performers like Martin Short, Florence Henderson, and Chita Rivera. Composers who were known for massive Broadway hits, like Sheldon Harnick/Jerry Bock (“Fiddler On The Roof”) and John Kander/Fred Ebb (“Cabaret” and “Chicago”). Directors and choreographers like five-time Tony winner Susan Stroman. There were also lots of people whose names Steve didn’t recognize, but he not only got to know their work, he eventually tracked down several who were still around. Steve turned his findings into a 2013 book, “Everything’s Coming Up Profits,” and the response was so good his friend Dava Whisenant (an editor at the Letterman show) told him he should make a documentary — and she wanted to direct it. The result is “Bathtubs Over Broadway,” which follows Steve as he meets several of the people who made these performances, which were never intended for public consumption outside the ballrooms and other venues they were staged in.  Many of the previously-unknowns are thrilled to get the recognition and share a few stories — including that it was the most lucrative work some of them ever had in show business! 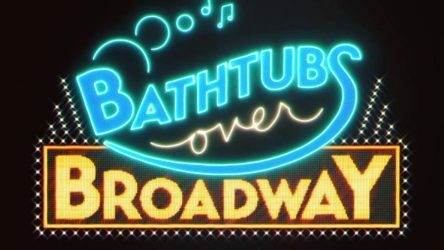 “Bathtubs Over Broadway” is getting deservedly great notices on the festival circuit, but still doesn’t have a distributor, so it may be awhile before you can see it. Meanwhile, you can listen to some of the songs Steve dug up — including the Sid Siegel classic “My Bathroom,” which inspired the movie’s title — by clicking here. Steve was in St. Louis for the SLIFF screening, where he did a Q&A afterwards before picking up a guitar and performing a couple of his favorite industrial-show tunes with us, including “Scott Cups” by Allan Sherman. I give the documentary an 8.5 out of 10.